Key Difference: The key difference between both the nouns, Theme and Title is that Theme signifies main subject around which the author or the talk will be about and Title is like the name of the book or giving suffix or prefix to a person's name with honour or the position or designation of a person while using the word as verb. For example the theme of an article can be Gender, while the title of that article can be “General discrimination of the gender in the society” or “Gender bias in society or work culture”, etc. Theme is the subject or main idea of the talk or the article, writing or for a show, an exhibition. The theme of any work is the main meaning or the perception conveyed through the concept. For Example, The theme for the birthday party is cartoons, so in this the birthday party will be celebrated in cartoon styles with cartoon decorations and setting, cartoon based cake etc. recurring element or idea like for example, It was the usual, 'boy gets girl' theme. A composition, paper or report, like for example, She got A+ in her reports. To provide a theme, like for example, the restaurant is known for different theme menu it offers every month. Narrative theme is where theme becomes the central topic of narration. The collection of color scheme, sounds, artwork, etc in computing like for example, applying a certain selected theme to the layout or changing the visual or appearance of the layout in computing with the theme required. Origin of the word 'Theme' is from Middle English via: Old French from Latin 'Thema'. Verbs which are used with the word are themed and theming. Synonyms for theme can text, thesis, subject, idea, topic. 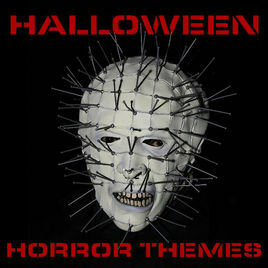 Theme also provides with an underlying message. Title refers to the name of the book, or a composition or any other artistic work. 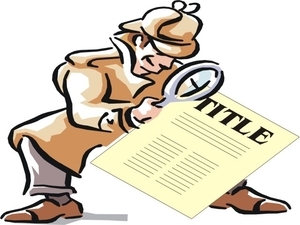 The title when used as a verb, assigns a title or entitle someone with designation or position. Title is generally short, precise to gives the whole idea of the theme or the concept of the work in just some words. Title is also used to attract the readers by being creative yet simple to understand the meaning of the following art. The title is very clearly stated being specific while reflecting the subject matter or the theme. A title is given to almost every writing piece but may not be used for all the other artwork. According to Oxford Dictionary, the word 'Title' is an Old English word 'Titul', which was reinforced by Old French 'Title'. Both the words are from Latin 'Titulus', which means inscription or title. The word originally denoted a placard or an inscription placed on an object, giving information about it, hence a descriptive heading in a book or other composition. The central ideas of things or a recurring idea. Gender equality or Gender bias at work place?